Read and weep, Mr and Ms American Patriot, your elite owned and operated “house-slave” is, in the eyes and minds of the Russian people, making a fool out of himself and you. Your government, Mr and Ms America, is a sick and twisted cripple on its way out, and so its elite-swine owners and operators are bound and determined to take you and me down with them. And they are going down, and soon, it’s just a matter of time! Remember that roughly 80% plus of the audience watching this are strong supporters of President Putin. You can imagine what they think when they see these reports. The fully understand that the West hates Putin so much precisely because Putin is one of them, a real Russian who cares for the interests of the Russian people. 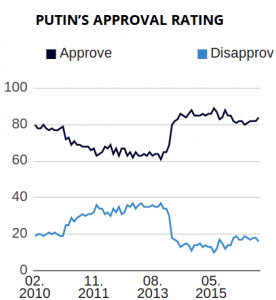 So when the West demonizes Putin, it is really all the Russian people who are demonized and their conclusion is simple: the West does not hate Putin, the West hates *us*. As for “Blame it on Putin” – it has now become a real joke. One of the main effects of this kind of demonization is that the Russian public fully understands that there is no way back. In practical terms, most Russians believe that even if Russia pulled out of Syria, stopped supporting the Donbass or even decided to hand Crimea to the Ukies, the West would still continue to demonize Russia and try to subdue her. Furthermore, the Russians remember that the only time when the West liked Russia was when she was run by the drunken Eltsin and his coterie of Jewish oligarchs who pillaged Russia and whose reign had consequences similar to what a major war would result in. Any other Russia is simply unacceptable to the AngloZionist Empire. Seen in this light, the alliance of the West with both the Nazis in Kiev and the “moderate terrorists” in the Middle-East makes sense. This is not fundamentally different from the European’s alliance with the Ottomans during the Crimean War or the USA supported Japan against Russia in 1905 (only to then end up fighting against Japan a few years later). 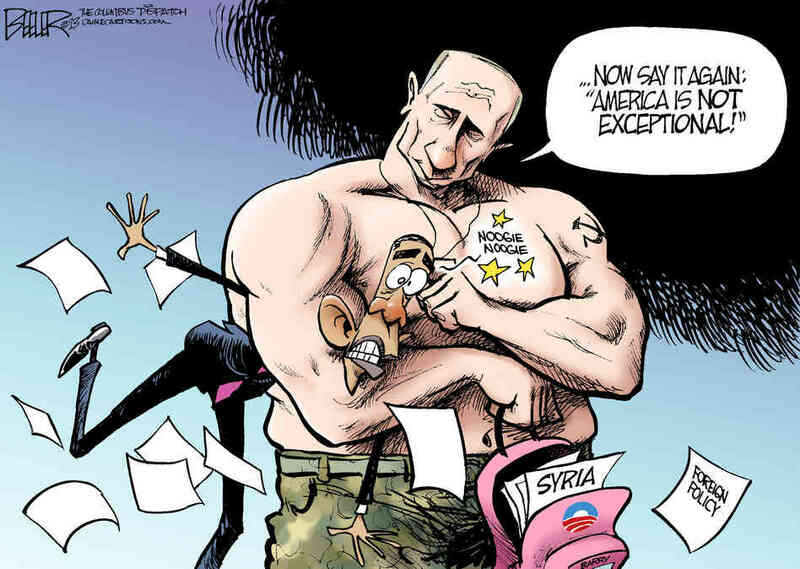 As long as X is anti-Russian, the West support X. It’s that primitive and that stupid. I don’t think I have ever seen the Ukie inferiority complex better illustrated. The Latin sentence “Sapiens Dominabitur Astra” (“the wise will rule the stars”) is a nice touch as it combines a non-cyrillic (Latin) alphabet, a reference to European astrology in the Middle Ages and a typically Ukrainian (cosmic) megalomania. 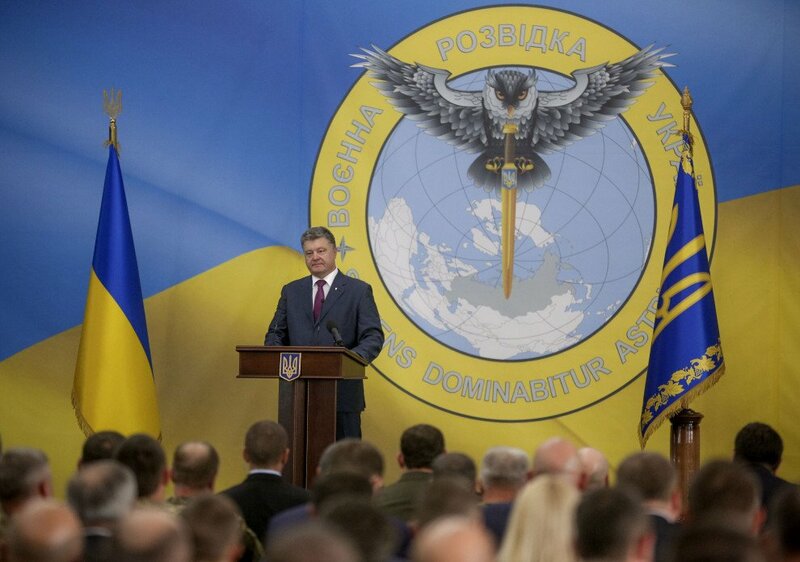 Yet another proof, if needed, that all the Ukraine is is an “anti-Russia”. Make no mistake though, there is absolutely no fear of the West in Russia. Most Russians believe that the Russian armed forces are more than enough to keep West in check. And they are quite correct. But there is this acute awareness that were in not for the Russian military, Russia would be treated just like Iraq. 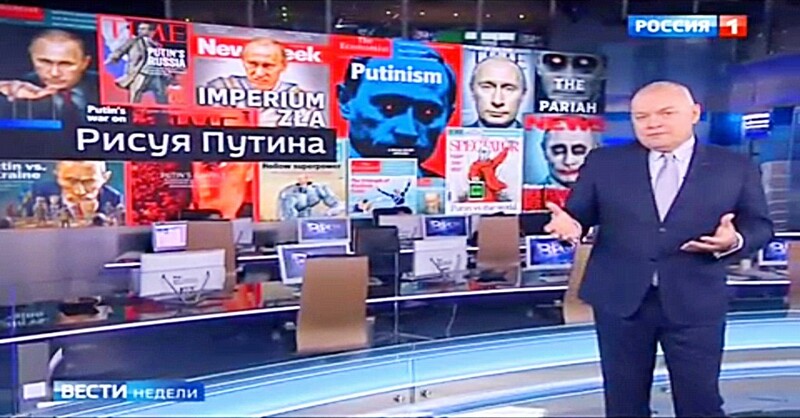 In the meantime, the Russia media is gleefully feeding the Russian public every bit of russophobic propaganda produced in the West. Future generations will probably study this period and wonder at the absolutely mind-boggling stupidity of a western propaganda machine which is apparently completely oblivious at the impact of its propaganda on a nuclear superpower.